I am suddenly encountering this problem as well. Any chance you could provide step-by-step instructions on how to do that certificate creation, willvincent? Doubtful all the necessary functionality is built into my OPNSense router. Still a bit of a hassle anyway as I still get the 'non valid' certificate warning. 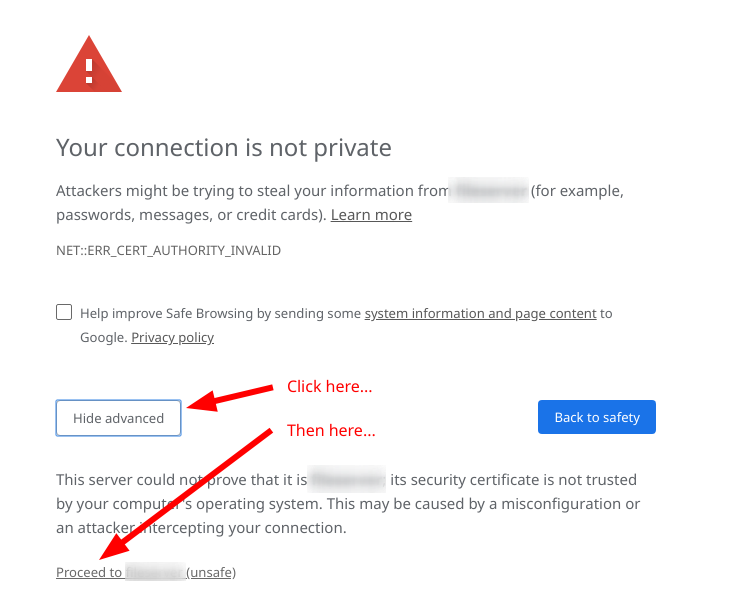 But so long as there is _a_ certificate, valid or not, so that you can have an https connection, that ought to be sufficient. Well that's unfortunate. I'm running it on an unRAID system and it's really causing problems for me. Hopefully they're able to get a fix for it soon. emby 3.5 ish running on a headless ubuntu install 18.04.. I just found this thread and see that i need to use HTTPS. 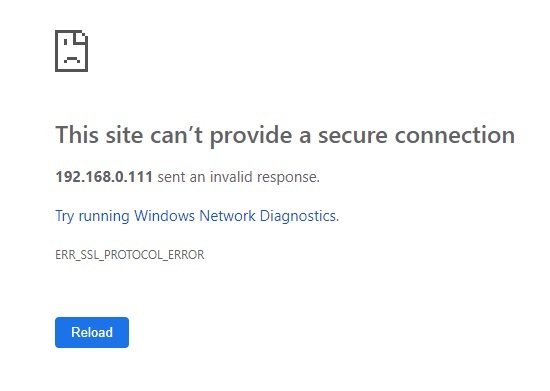 Is there going to be a fix for this or will i have to make my own cert so i can use HTTPS? @Eddie this is a Chrome requirement. What fix are you hoping for? The only relevant fix I can think of would be exposing the ability to set a custom SSL cert for internal connections, which is only currently possible if you enable external connections. What I did was enable external connections so that I could populate my custom self-signed cert, but I'm not actually forwarding any external traffic to emby, so it's not possible to hit the server from outside my local network anyway, but enabling external connections within the emby server config allowed defining the certificate to use for https. Yes that would be fine. Also for those who may have missed it, you can also use the web app over localhost, or our android mobile app, or iOS app. Doesn't that necessitate that the server be running on the local machine? Yes but for some that will be the case. If anyone can recommend a good step-by-step guide for setting up a cert, it would be very much appreciated. This is causing me a great deal of grief. Can you help me to understand why this is not an Emby issue? 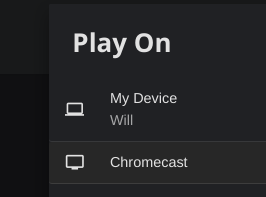 Other sites that I use to stream from my daughter's laptop to her Chromecast still work fine ie. Netflix and Youtube but Emby does not. On a very basic level that would seem to me to be something that Emby needs to fix. Because those sites are running under https. It's not easy for is to just provide that for your server because first you need a domain name to attach the certificate to. For what it's worth.. a self-signed certificate does work just fine. It's not strictly necessary to expose the server to the net. But after clicking 'proceed' everything will work just fine, you'll see "Not secure" in the address bar, otherwise it's all good. Thanks, guess I'll have to look into how to create a self-signed cert then hey! How do you get to this point, willvincent? Edited by Netbug, 26 February 2019 - 08:33 AM. You will need to create a self-signed certificate. From what I understand it is not a simple task and something that you would need to research and figure out how to do as although several people have mentioned doing it, no one has yet given any information on how to do it or where to get information on how to do it. I'm considering whether or not I take the time to try to figure it out myself, haven't had time to do it yet. Edited by willvincent, 28 February 2019 - 03:50 PM. Edited by willvincent, 28 February 2019 - 03:59 PM. This all seems way too complicated for me! The sad thing is I actually work for RSA but I'm no coder or engineer so this all goes over my head.....a bit like an aeroplane! If/when I have time I'll try to read through what you provided so thank you. I did also find this topic https://emby.media/c...icate-for-emby/ but not sure if it's relevant as it dates back to 2016.